You are here: Virgin Islands News Online » News » Chicken & eggs @ HMP & 20 years later huge cost for trucking water! Some of the many problems include lack of funding, overcrowding, people who are locked up that should not be there, locals continuing to complain they are being shut out from employment opportunities there and prisoners continuing to face long court delays (frequent and unfair adjournments) in what some have described as a corrupt legal system. There is more, however. 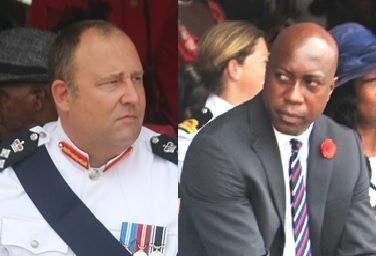 While testifying before the 2016 House of Assembly’s Standing Finance Committee, Superintendent of Prison, United Kingdom national David Foot, who was hired by the controversial Minister for Education and Culture and Territorial At-Large Member Hon Myron V. Walwyn after it was alleged that he forced out a local Mr Charles L. Forbes, brought a number of issues to light. 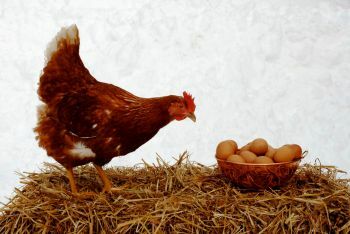 Where are the chickens & eggs? A couple of years ago the prison located at Balsam Ghut on the main Island of Tortola got accolades for its successful prison farm programme where they sold meat, vegetables and eggs to many of the local supermarkets. Mr Foot was asked by the Sixth District Representative Hon Alvera Meduro-Caines during the 2016 Standing Finance Committee (SFC) hearing whether the money made at the farm formed part of the budget. Mr Foot replied that the money they received from Road Town Wholesale, who purchased their goods, went to the treasury and sometimes a portion of the money received from the sale of pigs and pork were used to cover the cost of food. The Junior Minister for Tourism and Territorial At-Large Member Hon Archibald C. Christian asked if there was a particular reason why there was such a drastic reduction in the production of eggs? In 2015 HMP racked up over $65,000 in trucking water! It was in the 2010 Standing Finance Committee Report that Legislators were promised that the problem of having to truck water to the prison would end, however, that never happened. Some 20 years later the prison has not stopped the practice and in 2015 alone some $65,271.17 was spent on trucking water to the prison, according Mr Foot. It was around 1995-96 that a new reservoir was built close to the Prison in Balsam Ghut to help alleviate the water challenges of the recently constructed prison facility. While immediately after the reservoir was commissioned, some 20 years ago, water was still a challenge, work was done to improve the infrastructure by putting in pipes across the Ridge Road area. 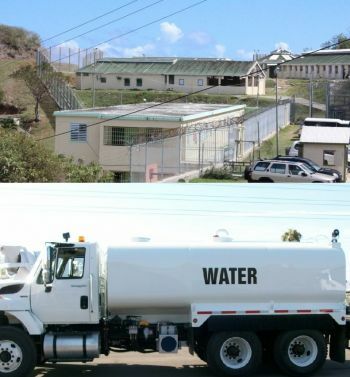 Because of lack of water the problem persisted and led to the need to truck water to the prison, costing tax payers millions of dollars over the years. In 2009, law makers were told by the Water and Sewerage Department that all that was needed to correct the matter were new pumps to get the water up the “Hill to the Prison.” There was also, by 2010, major improvements in water capacity throughout Tortola. In 2010, a huge amount of funds was expended to install two heavy duty pumps; one at Greenland close to the car wash; and the other in the Upper Greenland area at Jennings Hills. This was expected to correct getting the water up to Her Majesty’s Prison (HMP). However, from the testimony of Mr Foot the problem remains, as last year despite the two pumps that were installed in 2010 to address the water situation at HMP, water still had to be trucked to the facility, resulting in overspending of the Prison Budget. The Leader of the Opposition and Member for the Third District Hon Julian Fraser RA asked about the over $65,000 spent on water and why the prison did not receive water from the municipal supply at the prison or whether there was a leak in the tank. HMP comes under the portfolio of the Minister for Education and Culture with some specific security oversight from the Governor. Crazy use of scarce public funds. Audit whom the water trucks that got paid the bulk of this and follow the money trail! This is a set-up from the time F**** was up there! A certain minister has vested interest in said delivery trucks just like the other members of government whom have interests that are raking in the dough off of the collective public's' back. Breeze and fidel made all that money? Ball head has no use for locals he is Wicked and ungrateful. Some of you bloggers make sick, when a certain blue truck company was trucking water the bill then use to be well over three hundred thousands dollars, you all have short memories and very jealous of others, set of badminded bvilanders. @ Jimmy Smith - GTFOH with your whining and crying BS! How da eff you know what the bill(s) were? When ayo gravy train run-off the tracks and ppl start questioning ayo geh the runs! It is our tax dollars and the HUSTLES must stop as the financial services money train is running on fumes. If one snake get away with it ayo parasites think its a free for all..
they need to bring back Mr. Abbey he had the farm under control. even if its on a part time basis. Chickens got cold?? Who could say such a moronic thing and who ever believes it is also a moron. Cold* Warm* How old are you ? the BVI is doomed. Because, we have no mirror to look into.